Stamp with Melva: Kinda Eclectic - Lovin' It! Every catalogue there is a couple of stamp sets that catch my eye and I know I just have to have. 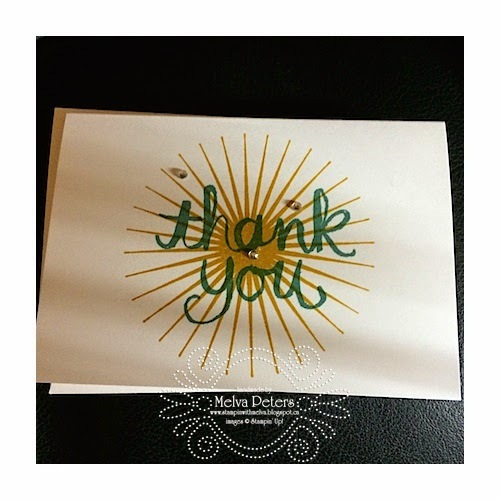 Kinda Eclectic is one of those and I couldn't wait until the Stampin' Up! Convention to get it. It was one of the free stamp sets we received at Convention. If you've been following my Stamp With Melva FaceBook page or my Instagram feeds you'll have seen the amazing cards we made with this set at Convention. These will be 1 of the cards we make at my "Kinda Eclectic" Class. In addition, we'll make the following cards plus one more that will be a surprise. 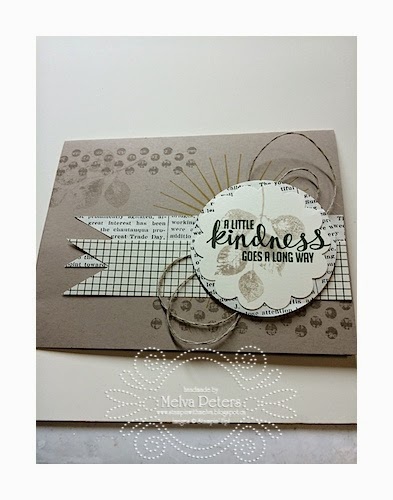 This class will be $25 for 4 cards with envelopes. If you register with a friend the cost will be $20 for you! Click here to register now!